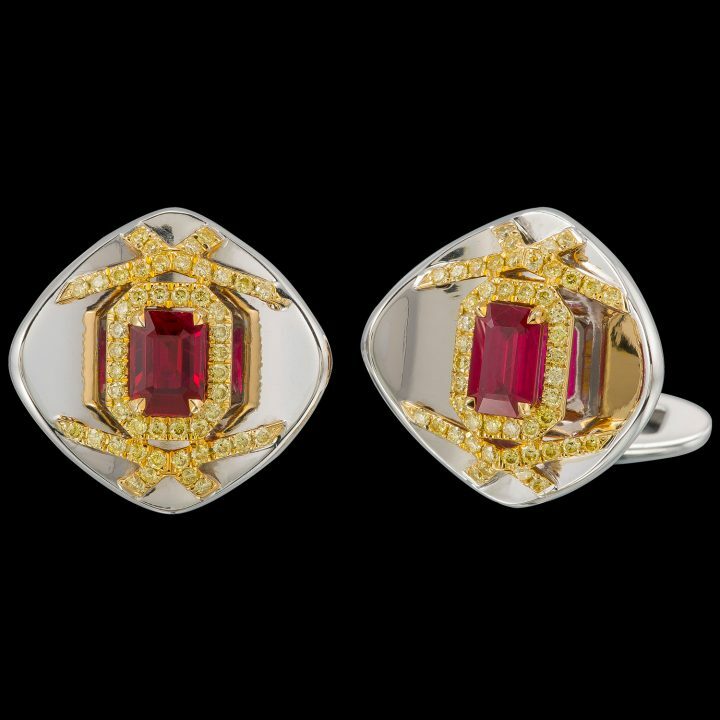 Inspired by ancient shields, this unique pair of cufflinks feature a ruby centerpiece adorned by a diamond pavé detailing. The hexagram design is set against a diamond cluster background. 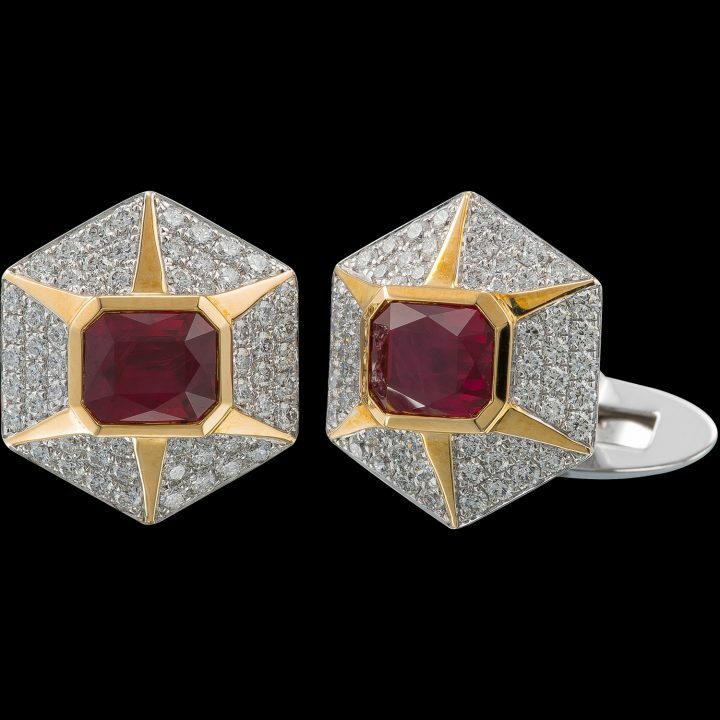 The center of the piece features elegant Pigeon Blood Burmese red rubies.